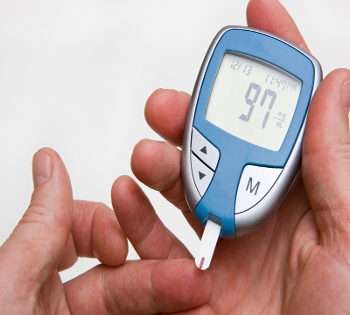 Home › Blood Sugar › A New Epidemic: Is your blood sugar out of balance? One of the biggest, most often undiagnosed health problems sweeping the country is blood sugar imbalances. The most common disease from blood sugar imbalances, diabetes, kills about 4 million people worldwide a year and around 200,000 in just the United States. Whether your blood sugar (or glucose) is too high or too low, it can lead to serious disruptions to your energy, metabolism, brain chemistry and regulation of stress hormones. Blood sugar imbalances have become incredibly widespread in recent history, both among adults and children, as poor diets and sedentary lifestyles have become more common. When your blood sugar is too low (hypoglycemia), it means that you have an insufficient amount of glucose, which is a key source of energy and plays an important role in your metabolism. When your blood doesn’t have enough glucose in it, your brain can’t get the glucose it needs. These low levels of glucose lead to side effects such as fatigue, headaches, depression, mood swings, and a general “foggy” feeling because your brain is essentially impaired due to a lack of glucose (energy). So if glucose gives you energy and is critical to your brain working properly, one would think that the more glucose you have in your blood, the better, right? Unfortunately, some people swing too far in the other direction and suffer from the effects of excessively high blood sugar levels (this is known as hyperglycemia). High glucose levels are typically the result of the body lacking sufficient levels of the hormone insulin, which helps you properly utilize glucose. When insulin levels are low, glucose levels build within the blood instead of being absorbed by your cells. The most common early symptoms of hyperglycemia are blurred vision, weight loss, dry mouth, and excessive urination, thirst and hunger. In some cases, extremely high blood sugar can lead to brain damage with symptoms of confusion and seizures, and even death. The most common result of blood sugar imbalances, and the one that most people are aware of, is diabetes. Diabetes is a metabolic disease that comes from high blood sugar levels sustained over a prolonged period of time because the body doesn’t produce enough insulin or the body’s cells do not respond properly to insulin (or both). Diabetes is a life-altering disease and, while science has come a long way in helping people with diabetes live a normal, enjoyable life, it is best to never have to deal with diabetes or even more minor forms of blood sugar imbalances. No matter what your blood sugar levels are like now, they can be improved through proper diet, an active lifestyle and supplementation. To know if your blood sugar is too high or too low, you have to know what is ideal first. According to the National Institutes of Health, up to 100 milligrams per deciliter of blood (mg/dl) is considered a normal level. If your level is much lower than that, you may be suffering from low blood sugar and if you are between 100 and 126 mg/dl then you may be diagnosed with pre-diabetes. Diabetes is usually diagnosed when your fasting blood sugar level reading is over 126 mg/dl. The best way to find out your blood sugar level is to take a trip to the doctor for some blood work. You can also measure it at home using a glucometer, which typically gives you results within seconds, but a follow-up with your doctor should be scheduled if you are concerned. If you find out that your levels are outside of the normal range, don’t panic! Although it is a serious matter, there are ways you can get your blood sugar back under control. One way to help regulate blood sugar levels is to spread your day’s food intake out into small, consistent meals. Binge eating or skipping meals can make your blood sugar swing, so keeping your carbohydrate load small and evenly distributed can keep your levels where they should be. Also, remember that not all carbohydrates are the same. According to the American Diabetes Association, eating legumes (such as lentils, chickpeas and beans) lowers blood sugar levels in people with type-2 diabetes. Foods with resistant starches, such as certain potatoes when baked and cooled, can lower your blood sugar as well. Because resistant starches bypass the small intestine and behave as dietary fiber in the large intestine, after being metabolized by good bacteria, these types of starches can be very helpful. Another little-known blood sugar-stabilizing food is a cactus known commonly in the culinary world as “prickly pear.” Prickly pear is very popular in Mexico and can be boiled, fried, grilled, mashed or added to soups. NYU’s Langone Medical Center has studied prickly pear and found that it may slow carbohydrate absorption and lower your after-meal blood sugar readings. While eating smart goes a long way toward stabilizing your blood sugar, your lifestyle decisions also play a key role. One of the easiest (and most pleasurable) ways to normalize your blood sugar levels is to sleep at least 7 hours (uninterrupted) every night. University of Chicago researchers found that a chronic lack of sleep may lead to type-2 diabetes because of the changes in your glucose metabolism, autonomic nervous system activity and hormone levels when you are sleep-deprived. Losing some weight, especially “belly fat,” can also help keep your blood sugar levels where they should be. Excess weight leads to insulin resistance that keeps the blood sugar-lowering hormone from being able to work properly. The kind of regular exercise necessary to lose a little weight can also normalize blood sugar levels in its own way because of exercise’s effect on insulin resistance. With all that exercise you work into your day-to-day routine, you are likely to lower your stress levels as well which, according to the American Diabetes Association, keeps excess glucose from building up in the blood. When you are stressed, the body makes extra glucose that, in diabetics, never makes it to the cells like it’s supposed to. An activity like yoga or meditation may lower your blood sugar levels while simultaneously improving mental health and overall happiness. While these tips should go a long way toward balancing your blood sugar and keeping things at appropriate levels, some people may find that they need more help. If diet, exercise and smart lifestyle choices are not enough, consider these blood sugar-stabilizing natural supplements to help you stay balanced, below you will find a few of our most recommended options. 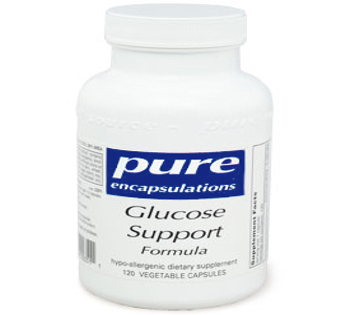 This formula provides a carefully-crafted combination of essential nutrients for blood sugar support. The leaves of Gymnema sylvestre have been used for over 2,000 years in India. So if glucose gives you energy and is critical to your brain working properly, one would think that the more glucose you have in your blood, the better, right? Some people swing too far in the other direction and suffer from the effects of excessively high blood sugar levels (this is known as hyperglycemia). High glucose levels are typically the result of the body lacking sufficient levels of the hormone insulin, which helps you properly utilize glucose. When insulin levels are low, glucose levels build within the blood instead of being absorbed by your cells. The most common early symptoms of hyperglycemia are blurred vision, weight loss, dry mouth, and excessive urination, thirst and hunger. In some cases, extremely high blood sugar can lead to brain damage with symptoms of confusion and seizures, and even death. The most common result of blood sugar imbalances, and the one that most people are aware of, is diabetes. Diabetes is a metabolic disease that comes from high blood sugar levels sustained over a prolonged period of time because the body doesn’t produce enough insulin or the body’s cells do not respond properly to insulin (or both). No matter what your blood sugar levels are like now, they can be improved through proper diet, an active lifestyle and supplementation. Let me now share with you my advice for keeping your blood sugar in check. To know if your blood sugar is too high or too low, you have to know what is ideal first. According to the National Institutes of Health, up to 100 milligrams per deciliter of blood (mg/dl) is considered a normal level. Diabetes is usually diagnosed when your fasting blood sugar level reading is over 126 mg/dl. The best way to find out your blood sugar level is to take a trip to the doctor for some blood work. You can also measure it at home using a glucometer, which typically gives you results within seconds, but a follow-up with your doctor should be scheduled if you are concerned. If you find out that your levels are outside of the normal range, don’t panic! One way to help regulate blood sugar levels is to spread your day’s food intake out into small, consistent meals. Binge eating or skipping meals can make your blood sugar swing, keeping your carbohydrate load small and evenly distributed can keep your levels where they should be, just remember that not all carbohydrates are the same. According to the ADA, eating legumes (such as lentils, chickpeas and beans) lowers blood sugar levels in people with type-2 diabetes. Foods with resistant starches, such as certain potatoes when baked and cooled, can lower your blood sugar as well. Prickly pear is a little-known blood sugar-stabilizing food very popular in Mexico and can be boiled, fried, grilled, mashed or added to soups. While eating smart goes a long way toward stabilizing your blood sugar, your lifestyle decisions also play a key role. Get enough sleep! University of Chicago researchers found that a chronic lack of sleep may lead to type-2 diabetes because of the changes in your glucose metabolism, autonomic nervous system activity and hormone levels when you are sleep-deprived. Losing some weight, especially “belly fat,” can also help keep your blood sugar levels where they should be. Excess weight leads to insulin resistance that keeps the blood sugar-lowering hormone from being able to work properly. The kind of regular exercise necessary to lose a little weight can also normalize blood sugar levels in its own way because of exercise’s effect on insulin resistance. While these tips should go a long way toward balancing your blood sugar and keeping things at appropriate levels, some people may find that they need more help. If diet, exercise and smart lifestyle choices are not enough, consider this blood sugar-stabilizing natural supplement to help you stay balanced.